Set up a Job Alert to be notified when Kaiser Permanente posts new jobs. Our employees work hard every day to support our mission. In return, we offer competitive compensation and benefits designed to help our team members and their families stay healthy, meet their financial goals, and generally thrive in and beyond work. 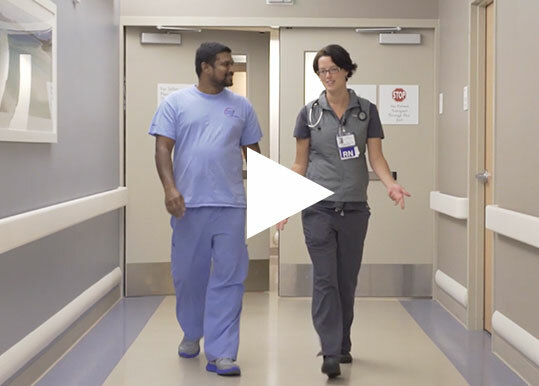 Through professional practice and leadership, nurses at Kaiser Permanente continually advance the art and science of nursing. But we recognize that what we do is more than clinical practice. We believe that every interaction — whether it is with a patient, a colleague, a physician, or anyone else — has the potential to be extraordinary. And we find that approaching our daily routine with this in mind gives each and every action new meaning and allows us to focus on the moment, empowering us to deliver expert care. No matter where you are in your nursing career, the size and scope of our organization means you have the resources, technology, tools, and support you need to make a lasting impact. NOTE: Benefits may vary based on your Kaiser Permanente region, position, scheduled hours, and representation by collective bargaining or employee groups. We understand that our employees are people — people with lives outside of their careers. And we believe in helping them thrive by encouraging wellness, supporting balance, and empowering action so that everyone can be their very best self. Being a care organization, we value health, wellness, and happiness above all. Consistently ranked a Best Employer for Healthy Lifestyles by the National Business Group on Health, we know that reaching your potential at work starts with being your best outside of it.